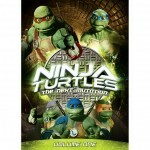 The live-action follow-up to the iconic “Teenage Mutant Ninja Turtles” series is the next big release from Saban’s Shout Factory agreement. Next Mutation will be released in September for $20. Shout! Factory has signed a multiyear agreement to distribute several Saban Brands properties, including episodes from the “Power Rangers” franchise. The deal gives Shout! 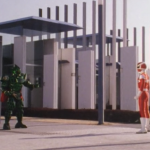 Factory exclusive DVD, Blu-ray and select digital rights to more than 700 episodes of the various “Power Rangers” shows that ran between 1993 and 2009, as well as 92 episodes of “VR Troopers” (1994-96), 26 episodes of “Ninja Turtles: The Next Mutation” (1997-98) and 88 episodes of “Beetleborgs” (1996-98). 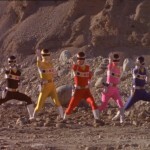 The agreement does not extend to the ‘Power Rangers’ theatrical movies. Initial rollout plans for the Saban are slated to begin in summer 2012, according to Shout! Factory, with single-season sets to start and potentially complete-series sets in the future.